Writer Dai Sato talks about his career, his background as a musician, how Eureka Seven’s pre-production slot switch influenced its story, and his feelings on adapting manga (as opposed to adapting novels or writing original material). 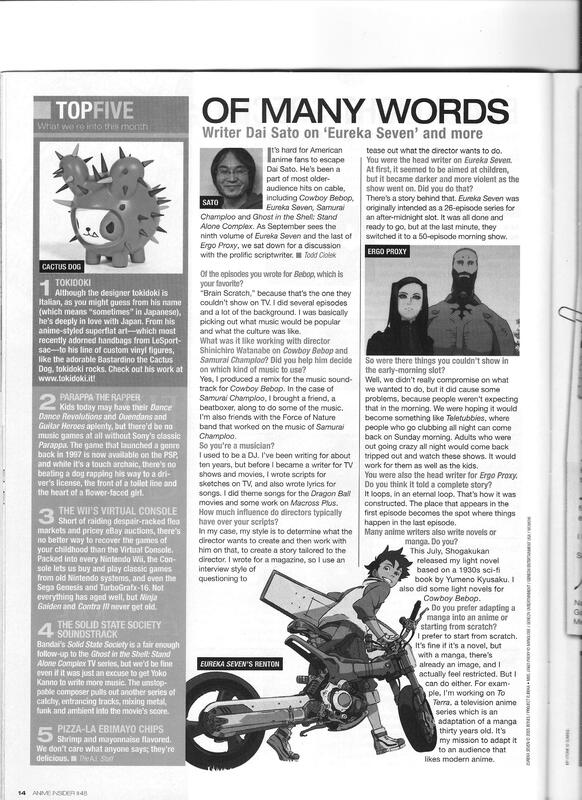 This entry was posted in Old Magazine Articles and tagged Anime, Borderline Plagarism for the Freedom of Information, Cowboy Bebop, Dai Sato, Ergo Proxy, Eureka Seven by torisunanohokori. Bookmark the permalink.